When you are a small business owner, you may think that you can and should do everything for your business all by yourself without help or interference. While it is understandable that you want to protect your interests and those of your business as well as save yourself money, there are certain circumstances that would call for professional guidance and help. One of the areas that you should seek out professional assistance in is your bookkeeping and accounting for your small business. Get to know some of the many reasons why bookkeeping services would benefit you so that you can be sure to do what is best for your small business. First and foremost, there is much that a bookkeeper can do for you and your business. The primary job of a bookkeeper is to keep track of all of your business’s transactions. This means that any spending your business does as well as any transactions made with customers are recorded and kept track of by your business bookkeeper. 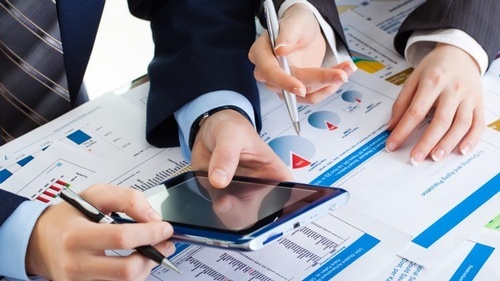 A bookkeeper may also use the tracked data to generate income reports and balance sheets for financial tracking and reporting purposes as well. If your bookkeeper is not also a certified accountant, they will often work under the supervision of an accountant to ensure that all of your business’s financial data is accurate and processed correctly. Bookkeepers, especially those who are certified accountants, may also analyze your business based on the financial information, create projection reports and give you advice on future business transactions and changes that you may be considering making. Many small business owners think that a bookkeeper is simply a person who records all of the customer transactions from day to day and adds them together. However, this is only a small portion of the transactions that your bookkeeper will track (and the situation is far more complicated). Just for customer transactions, your bookkeeper will need to keep track of credit card, check, and cash transactions separately. If your business offers payment plans, layaway, or the like, this will further complicate the situation as the sales totals and the money coming into your company at any given time will vary. Any returns will also factor into the customer transaction bookkeeping. On top of all of the customer transactions, your business will cost you money to run and operate. Tracking rent, utility bills, maintenance and repair bills, loan payments, equipment costs and depreciation, inventory costs, labor costs, insurance costs, and the like will all fall within the purview of a bookkeeper or accountant’s job description. Making mistakes on your daily bookkeeping can have serious consequences down the line. A simple missed error can dramatically affect your business’s finances and reporting to the IRS. And as a busy business owner who has many tasks on their mind in addition to bookkeeping, mistakes are easy to make. Even forgetting to record one utility or repair bill can be a major problem for a small business. Having another person to keep track of and look at the books basically gives you a backup system to make sure errors are not being made. You can oversee and double check your bookkeeper’s work on a monthly or weekly basis to make sure everything is running smoothly. Two sets of eyes looking at the financial data instead of one can and will eliminate most if not all errors and keep your books as accurate as possible. With these reasons in mind, you can see how bookkeeping and small business accounting services can help keep your business running smoothly.